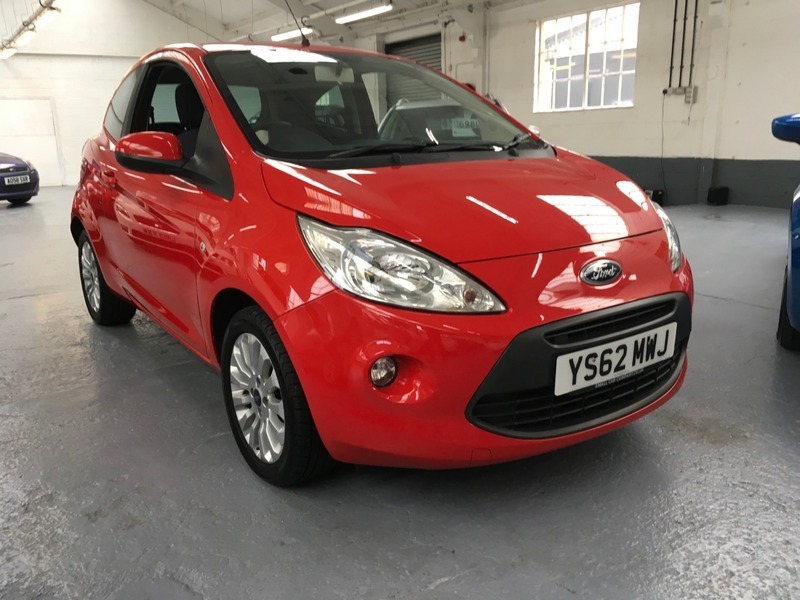 ANOTHER LOVELY LOW MILEAGE FORD KA FOR SALE AT THE SMALL CAR COMPANY. THIS EXAMPLE HAS JUST TWO PRIVATE OWNERS FROM NEW AND HAS A COMPLETE MAIN AGENT SERVICE HISTORY (6 STAMPS). PERFECT AS A FIRST CAR MAYBE, PLUS IT IS ONLY £30 A YEAR ROAD TAX!! FITMENTS INCLUDE AIR CONDITIONING, ALLOY WHEELS, AUX-IN AND REMOTE CENTRAL LOCKING.